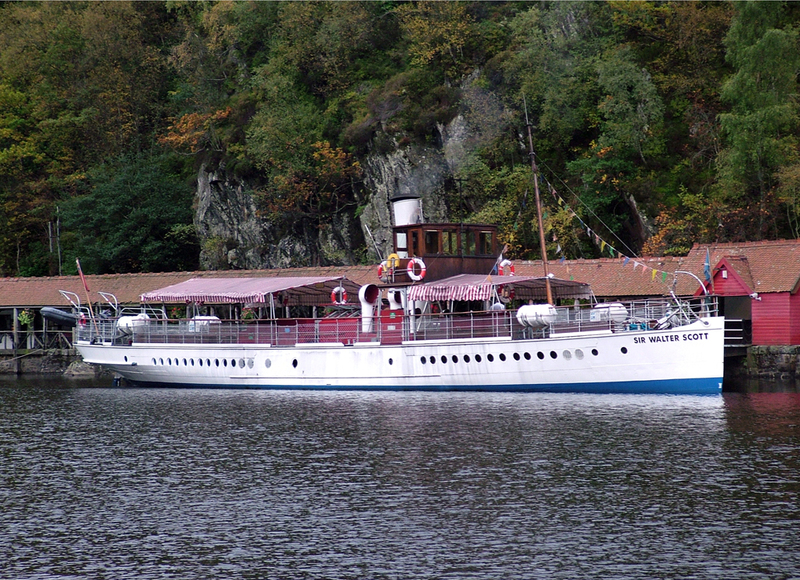 Loch Katrine was a popular tourist spot in Victorian times and the steamship SS Sir Walter Scott has been sailing on the loch from the Trossachs pier for over 100 years. SS Sir Walter Scott was launched on 31st October 1899. She is 110 feet long, 19 feet wide and weighs 115 tons, and sails the waters of Loch Katrine to this day.